Home / Category / What’s Up With the Pup? What’s Up With the Pup? I have a dog, right? I think I remember him…from many posts ago. Yes, Coach is still around. I’ve gone quiet about him for a while. Look how he’s grown! Remember when he had the puppy uglys? OMG. They grow up so fast. He’s 8 months, approximately 12 lbs. His coat is finally coming in! He sits, plays fetch and takes a leash. But he’s not a super trick-savy pup. He loves to snuggle. And bark. He has a blast at the dog park, but is very timid around other dogs. Not many good experiences with them in his past! I would highly recommend the Australian Shepherd breed. Especially the smaller classes. 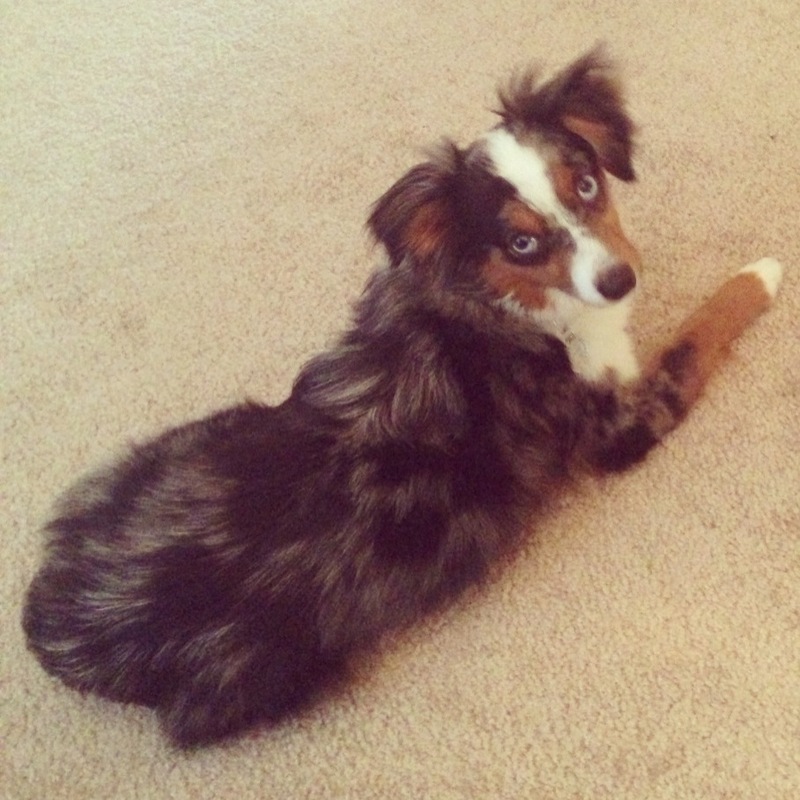 If you don’t have room for a full-sized Aussie to run around, that is. Seriously, though. He’s loyal, energetic, smiling constantly, playful…and the older he gets the more he knows when to chill. You read that right. He relaxes with us! Woohoo! He’s so grown up!